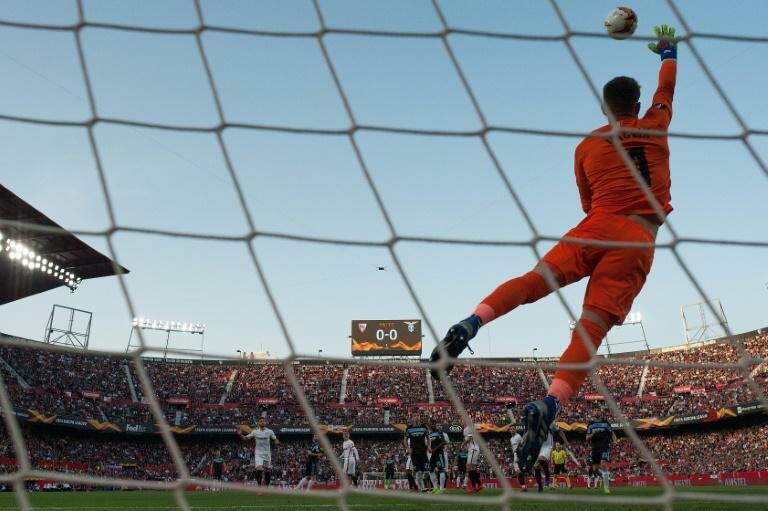 Sevilla 'keeper Tomas Vaclik has been ruled out of the Czech team for their opening Euro 2020 qualifying clash against England at Wembley on Friday due to a torn muscle. Doctors said the 'keeper would also sit out their friendly with Brazil in Prague on March 26 and will likely be replaced by Stade Rennes keeper Tomas Koubek. "Tomas underwent magnetic resonance imaging. We found out he had a torn oblique muscle," doctor Petr Krejci said in a statement. He added the 29-year-old Vaclik, the Czech number-one 'keeper who became the Czech Footballer of the Year 2018 on Monday, would miss two weeks. Vaclik injured his belly during the first leg of Sevilla's Europa League tie against Slavia Prague two weeks ago, when he hit the post diving in vain to save a bizarre goal that handed Slavia a 2-2 draw. He was on the pitch when Sevilla lost 4-3 in extra time in Prague last Thursday to bow out of the competition, but he missed last weekend's 1-0 win at Espanyol in La Liga. Vaclik joined Sevilla from Swiss side Basel last year.